Last week, the European Parliament joined the international outcry over the sentencing of Iranian human rights defender Nasrin Sotoudeh to a long prison term by voting overwhelmingly for a resolution calling for her release. The European Parliament is particularly sensitive to the fate of Sotoudeh. It awarded her the Sakharov Prize in 2012, the EU's highest human rights award, in recognition of her outstanding work in this area. It is only politically and morally consistent for the Parliament to express public dismay over her persecution. The resolution was quite comprehensive in its scope, encompassing also the cases of environmentalists, trade unionists, women's rights activists, EU-Iranian dual nationals, and others deemed to be wrongfully imprisoned following trials alleged to have lacked due process. European MPs criticized the sentences as "state-sponsored smear campaigns against the imprisoned individuals" based on "vaguely-defined national security and espionage charges." The resolution also acknowledges some positive steps taken recently in Iran, such as amendments to the drug trafficking law, which already reduced the imposition of capital punishment. It also calls on Iran to reform Article 48 of the Criminal Procedure Law to "ensure that all defendants have the right to be represented by a lawyer of their choice, and to a fair trial in line with Iran's commitments to the International Covenant on Civil and Political Rights," to which Iran is a party. There are some flaws in the text too. No conversation on the topic is complete without acknowledging the devastating effects of U.S. economic sanctions, imposed in violation of the UN Security Council-endorsed resolution on the nuclear pact with Iran, on Iranian human rights. The UN recognizes access to medicines, for example, as a fundamental element of the right to health, yet it is severely impaired by U.S. pressure on banks worldwide to cut ties with Iranian entities. Since the EU opposes these sanctions, and indeed enacted a special trading mechanism to bypass them, it should have condemned them for exacerbating the human rights situation in Iran. The document would have also benefited from somewhat more nuance on the criticisms of Iran's treatment of different ethnic and religious minorities. It states that "members of Baha'i, Azeri, Kurdish, Arab and Baloch communities, Sunni Muslims and Christians face discrimination in employment, education, freedom of worship and political activities." Although there is some evidence supporting this claim, not all listed forms of discrimination are applicable to all of these groups. The Baha'i certainly suffer from widespread discrimination. But it's difficult to argue that Azeris' freedom of worship and employment possibilities are somehow restricted considering that they are Shia Muslims and numerous members of Iran's elite, including the Supreme Leader, are of Azeri origin. 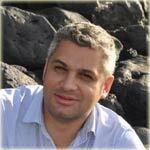 As to the Christians, it is the converts from Islam who face discrimination in Iran. Often, they happen to be evangelical Protestants, their cases picked up by well-endowed and aggressive evangelical groups outside Iran. Persecuting people for conversion violates their freedom of religion and belief. However, the Christian experience in Iran is broader than that: the rights of the country's ancient Armenian and Assyrian communities are reasonably well protected both in law and practice, especially by regional standards. Consider Tehran's warm welcome to the prime minister of Armenia during his recent visit to the country, including extensive mingling with local Armenians. Despite these flaws, the resolution is fair-minded overall and judges the situation in Iran on its own merits. It is not infected, for example, by the lobbying of exiled pro-regime-change groups, such as the Mujahedin-e Khalq. Among other names, it mentions Farhad Meysami, a jailed male activist of women's rights, who publicly refused to be instrumentalized by the U.S. government in its campaign against Iran. Nor can it be argued that the resolution unfairly singles out Iran in a region where some countries' human rights records are arguably worse. In fact, over the last years, the European Parliament adopted more condemnatory resolutions on Saudi Arabia and Bahrain than this one on Iran. The resolution comes at a time when Iran-subjected to "maximum pressure" from the United States, with the help of its regional allies Israel, Saudi Arabia, and United Arab Emirates-needs all the friends it can get, including in Europe. 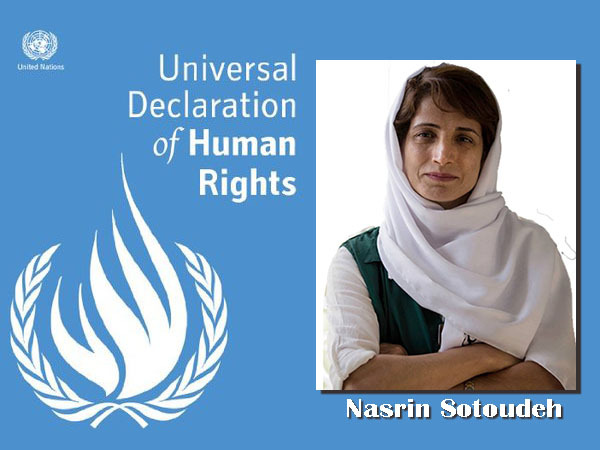 In this sense, the imprisonment of Nasrin Sotoudeh is a perfect own goal. The hardliners in the judiciary who are responsible for this and other human rights abuses may not see it this way. Indeed, the severity of Sotoudeh's punishment may be intended to send a message that they are firmly in control, as opposed to the moderate administration of President Hassan Rouhani. And Rouhani's room for maneuver to take on the hardliners shrank since the escalation of Trump's campaign against the country. Besides, Rouhani still hopes he can become the next supreme leader, or at least have a say over who will become one. He can't afford to alienate the hardliners too much. In Europe, the reactions to Sotoudeh's sentencing were understandably of shock and disbelief, especially among those European politicians who invested political capital in engaging Iran. By contrast, it gave a perfect excuse to the opponents of dialogue to argue for a closer alignment with Trump's policies on Iran. If Iran truly wants a closer relationship with Europe, it shouldn't give ammunition to European opponents of engagement. Releasing wrongfully imprisoned human rights defenders would be a critically important step in that direction. This article reflects the personal views of the author and not necessarily the opinions of the S&D Group and the European Parliament.